It’s safe to say we’ve got you covered with everyone on your list for the top gift ideas for kids, best gift ideas for adults and some of the best gift ideas for older kids as well. I may have received complimentary products to facilitate my review, but all opinions within are my own. To say I’m excited to bring you our annual holiday gift guide would be a serious understatement. This year toy makers, home appliance companies, outdoor companies and more have given their most favorite gift ideas — it’s safe to say we’ve got you covered with everyone on your list for the top gift ideas for kids, best gift ideas for adults and some of the best gift idea for older kids as well. Whether you’re shopping for the guy in your life, a new mom, the littlest family members, your outdoorsy friend, or the Secret Santa at the office you’ll find it all right here. And, as you’ll see, I’ve even included a few splurge-worthy items for those extra special people in your life just in case you’re looking to go above and beyond this year. And, you’ll find some classics as well. Keep checking back as we’ll be adding more items through the Christmas season! Skywalker Trampoline: What kid wouldn’t be thrilled to get a trampoline for Christmas? 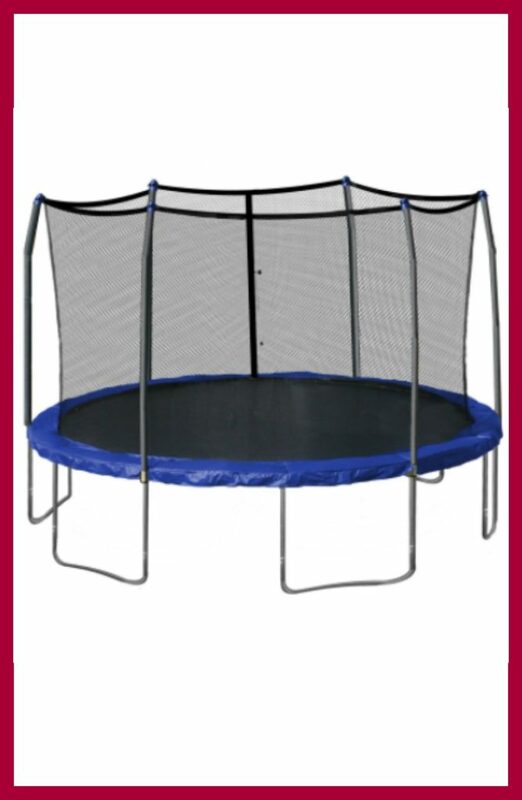 The Skywalker Trampolines feature reinforced T-sockets to stabilize the upper enclosure frame to the trampoline frame and prevents structural twisting. You’ll feel safe with the stay-put enclosure that interlocks to the jumping mat by using a patented button-hole feature attaching the enclosure netting to the jumping surface at each V-ring eliminating gaps. And, these are sturdy, too – the frame is constructed of heavy gauge galvanized rust resistant steel with total of 6 W-shaped legs for added stability. 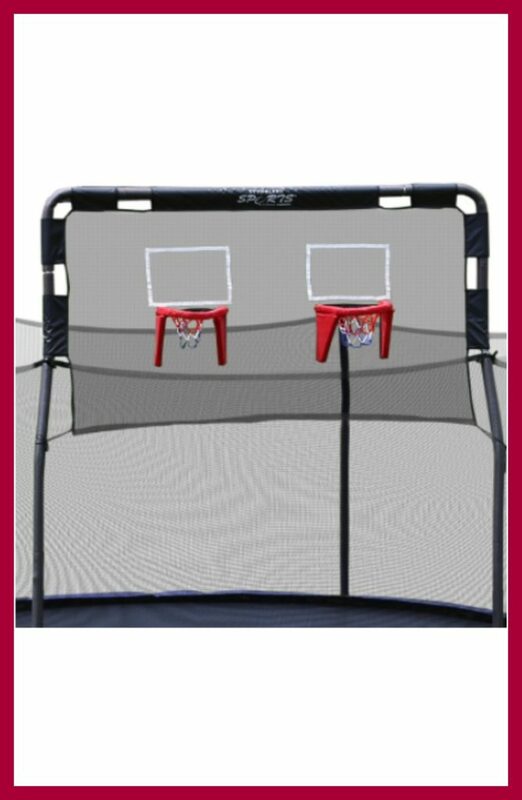 Skywalker Trampolines Double Basketball Hoop: This toy has no batteries and no screens and therefore is a winner in my book! Kids need some screen time and screens can be great but it’s also just fun to bounce around and be a kid. This hoop is a blast for the kiddos! Lori Dolls by OG and Accessories: For any little lady that loves playing with, well… little ladies and dolls, these are perfect. Upon holding these dolls in your hands you’ll find that they’re absolutely amazing and so detailed. And the accessories are just as intricate and beautiful perfect for a little princess. 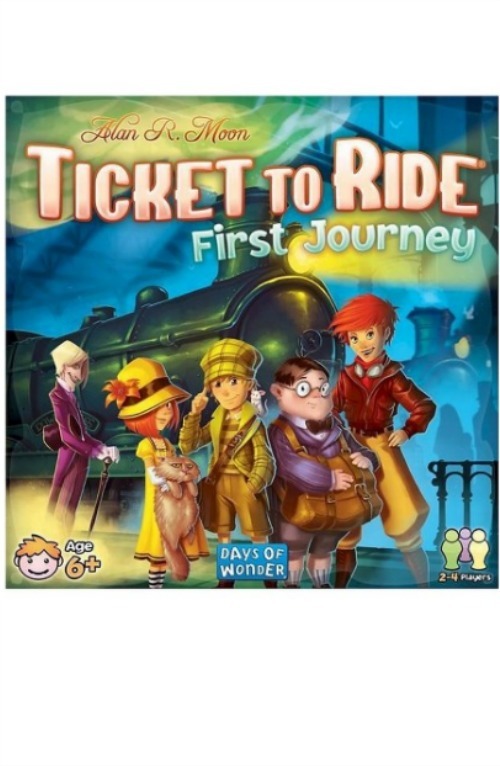 Ticket to Ride First Journey: Now the whole family can enjoy the classic, award winning Ticket to Ride. Build routes while seeing major monuments throughout North America – fun for all ages! Contains an all new game board, 80 trains, 72 train cards and 32 ticket cards! 4 coast-to-coast bonus ticket cards and 1 golden ticket! The first player to complete six tickets is the winner! Available exclusively at Target. Endless Games: Bet you didn’t think of these! 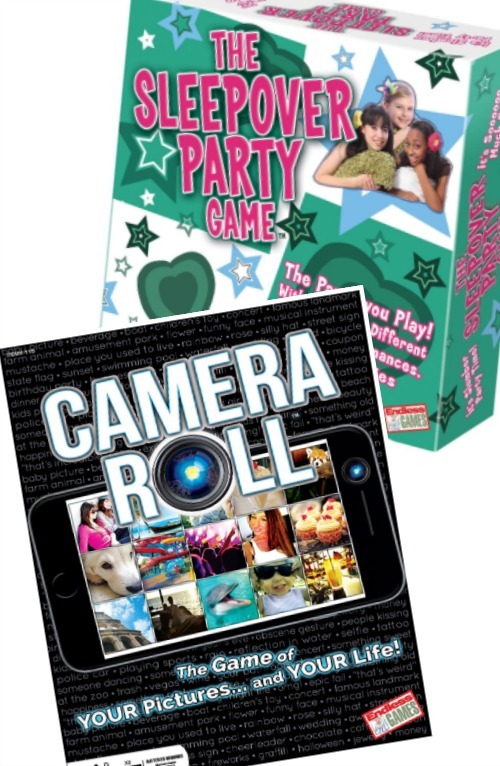 Score several new, fun and exciting games that all have a modern twist! Mr. Sketch Scented Gel Crayons: Do you have a budding artist? These Mr. 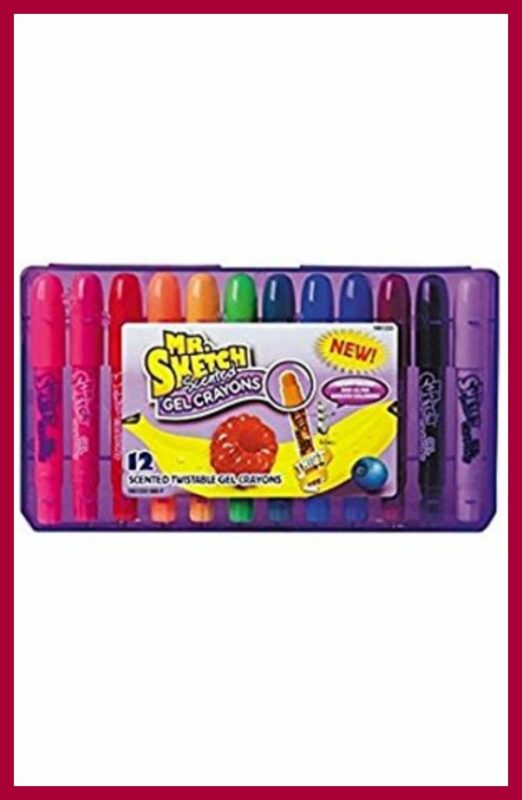 Sketch Gel Crayons are made with ultra smooth gel that glides over the page while coloring and the hard plastic body reduces crayon breakage as well prolonging the life of the crayons. DK Books: These books are a classic. 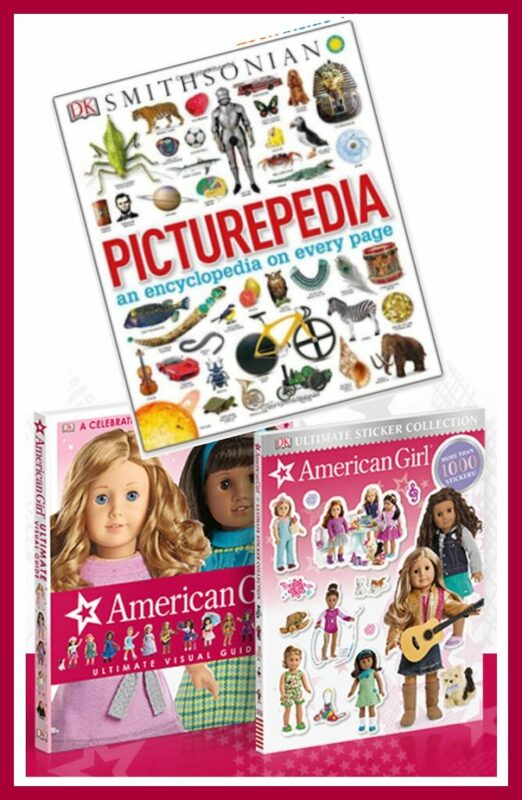 If you’ve got a kid that into stars, a father in law that’s into classic cars, or a little lady that is into dolls, DK books and the perfect gift idea for the people on your list. 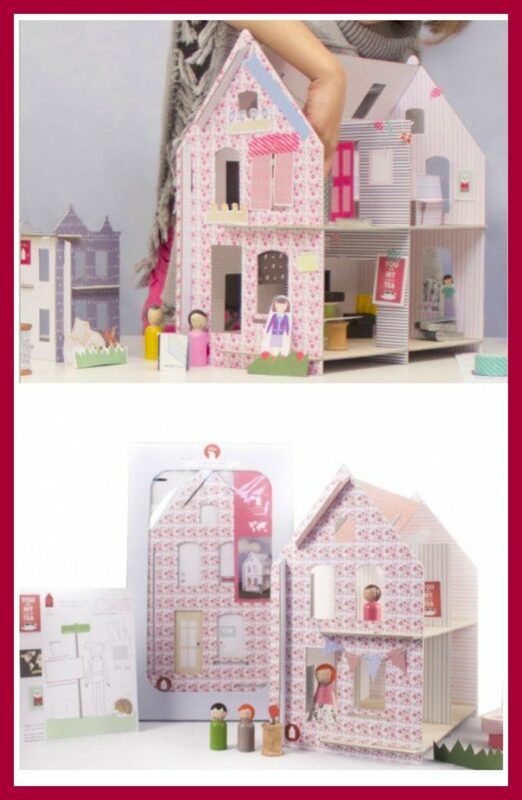 Lille Huset Cardboard Dollhouses: For kids who enjoy arts & crafts and imaginative games like playing house, Lille Huset is a dream home in the making. 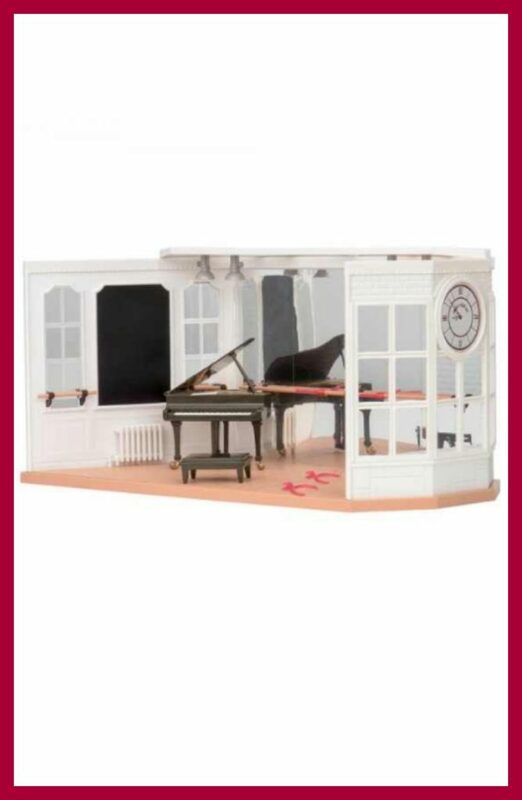 These DIY dollhouses provide children with everything they need to create and recreate rooms of their own design over and over again. Made in the USA of recycled cardboard and available in 3 styles, each Lille Huset piece can be mixed and matched in multiple unique ways. The houses are simple to collapse and store for a rainy day, yet aesthetically-pleasing and entertaining enough to leave on display for everyday fun and creativity. How fun for little ones that want to put their “stamp” on everything! WABA Fun Mad Mattr Moldable Doh Gift Set: Sculpt, stretch—even crumble—it and watch the texture change from sandy to silky soft in seconds. This sand feels kind of like wet sand but without any sticky residue. Kids can stretch their creativity to build a mini masterpiece or simply knead to relax their senses. And… this dough will not dry out. You can even leave a scoop on your desk to de-stress or display your most recent creation for days. This gift idea was hard to decide which guide to put it in! OgoSport Constructive Toy Sets: OgoSport develops fun, flexible toys that inspire creativity, encourage active play, and lead to lots of experimentation and problem-solving. And best of all? They do it without screens, batteries or controllers. Tula Mini Toy Carriers: Play pretend and be the cutest babywearer just like mommy and daddy! 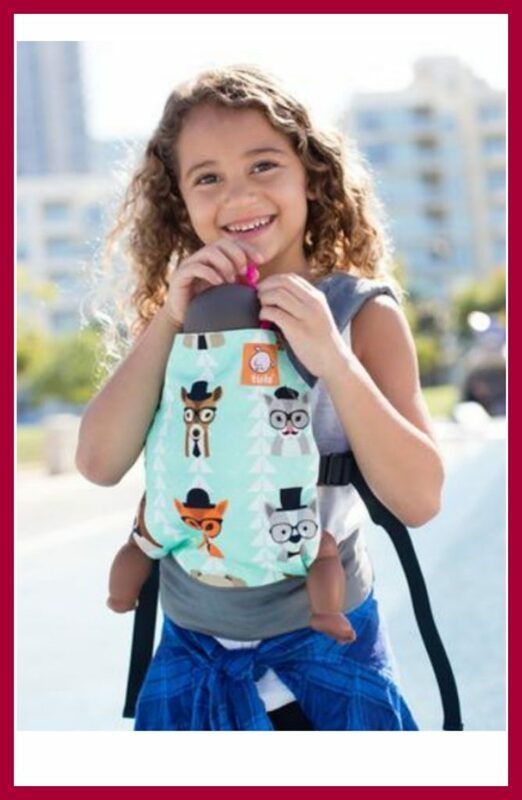 Our children love being just like their biggest heroes and now they can carry their lovey or baby doll in a Tula Mini Toy Carrier that looks just like your Tula carrier! Share memories from your early bonding time or have your big kid be a part of the babywearing fun that you share with a new sibling with the gift of a Tula Mini Toy and Doll Carrier. 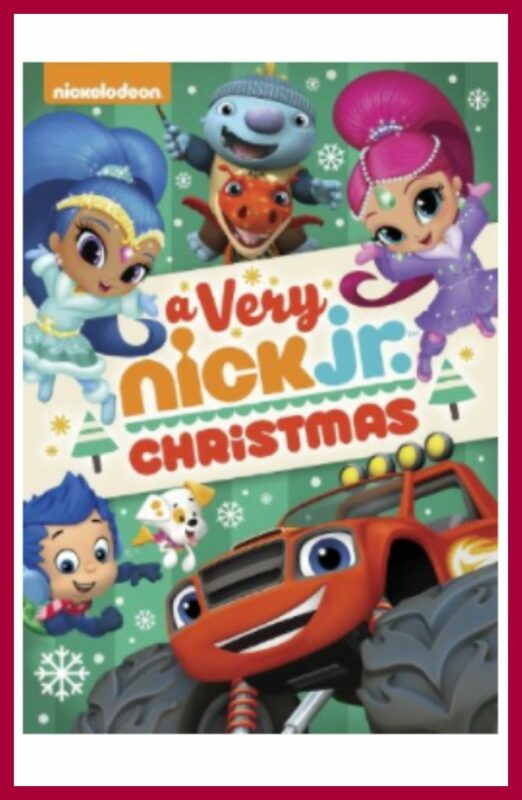 Nickelodeon Favorites: A Very Nick Jr. Christmas DVD: Looking for the perfect Christmas DVD for a little Nickelodeon fan? Blaze and the Monster Machines, Shimmer and Shine, Dora and Friends, Bubble Guppies and Wallykazam are all on this one – a must-have! 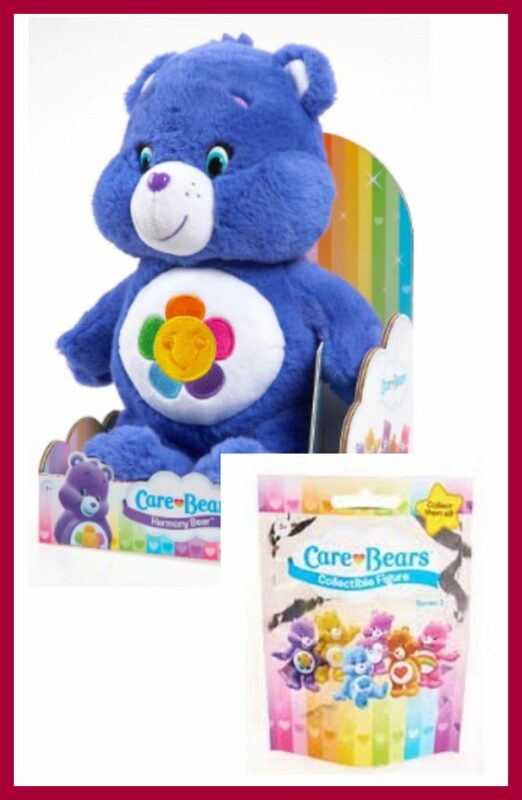 Care Bear Plushes & Accessories: Every little girl and boy loves Care Bears! If you’re looking for the perfect plush to stick in a little ones stocking, or wrap to give as a gift, don’t miss these! And, don’t miss out on the Blind Bags that are collectible items — so sweet and PERFECT size to use as stocking stuffers! ChalkTalkSPORTS Sport Accessories: Do you have a basketball fan? Get them the gear they want this year from ChalkTalkSPORTS! 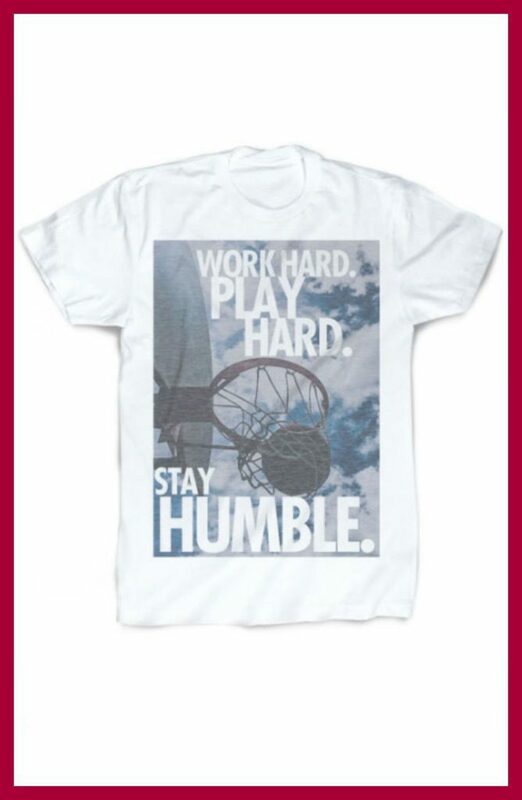 You’ll find the best of the best socks, personalizable tees and more on this site. 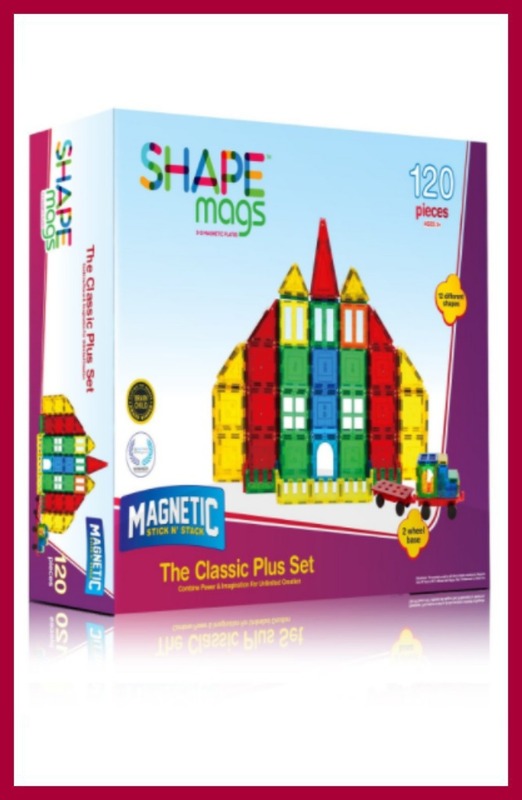 ShapeMags: Introducing innovative Shape Mags magnetic tile building sets that allow little builders to create castles, bridges, trains, buildings, pyramids, rockets, their name, the possibilities are endless. Shape mags come in train track sets, gates and fences, frames, arches, windows, doors, vehicle bases, and much more. 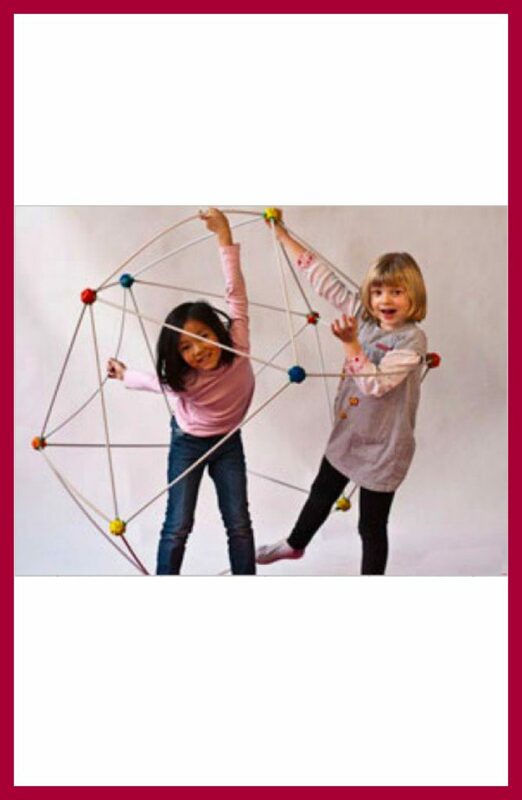 Shine a flashlight through their magnetic structures to explore shadows and color. Or, try building in the window or on the overhead projector to create a colorful reflection and great hands-on learning fun. Kids are only limited by their own imagination to put together a morning or afternoon of creative fun. Feltman Brothers Caroline Grace Doll: Every little girl wants that one doll that looks and feels just like a real baby. And every mom wants to give their daughter a doll that they can pass onto their little girls and this is one of those dolls. 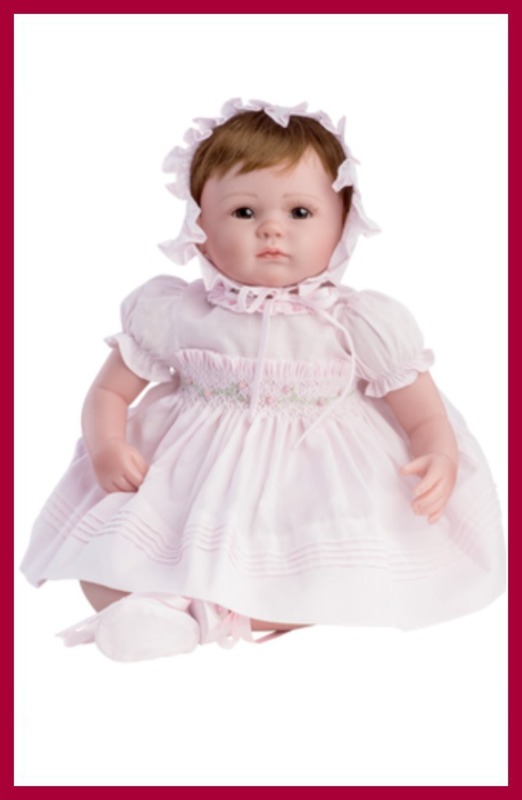 This absolute classic Feltman Brothers Caroline Grace doll is truly one of a kind. These dolls are life like with the softest skin, real eyelashes, baby scent, and adorable pixie cut! Each piece of clothing that the doll is wearing is an Authentic hand-embroidered, hand-made Feltman garment. They come with a birth certificate, and 4 pieces of clothing. A Dress, Bonnet, Booties, & Bloomers! So beautiful. 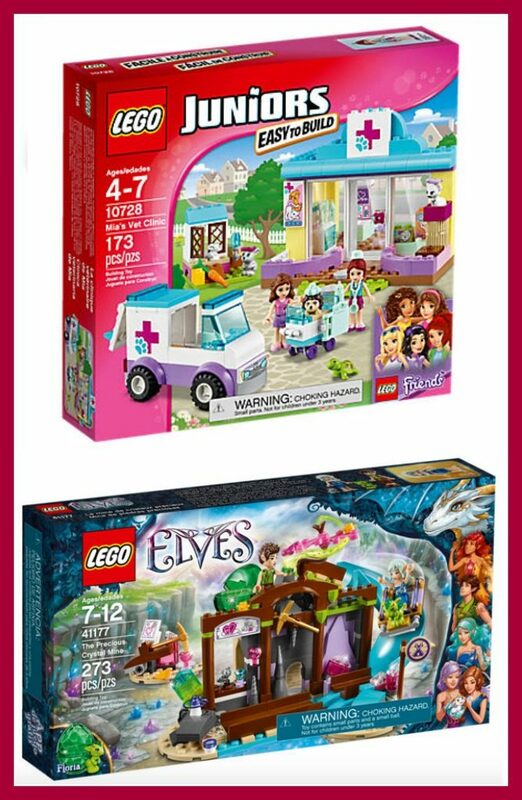 Various LEGO Sets: Whether you’re choosing the classic sets, the LEGO Junior Sets or the new Elves sets, you just can’t go wrong putting LEGOs under the Christmas tree! See all of the new LEGO sets to see which ones you need to add to your collection. 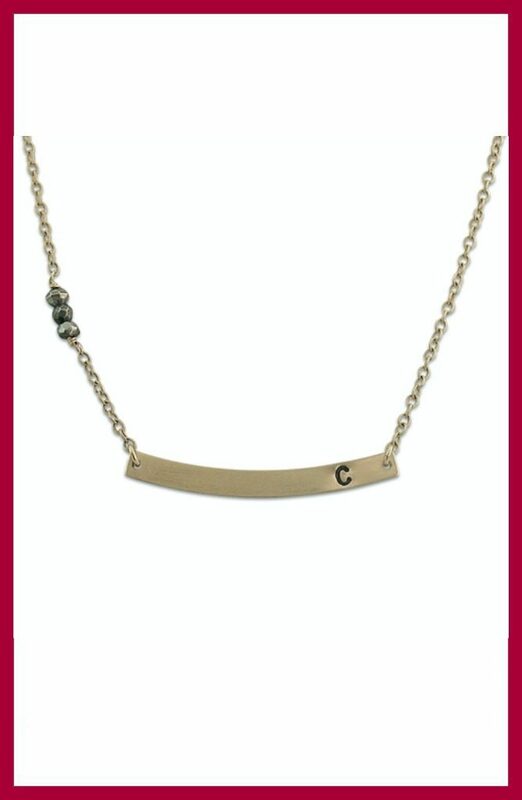 Isabelle Grace Jewelry: Is there someone extra special in your life? When you shop on the Isabelle Grace site you will put together your own one-of-a-kind piece by selecting from their personalized charms, initials, and semiprecious stones to create a piece that tells your story. Whether celebrating a birth, wedding or any of life’s milestones, the jewelry is more than an accessory, and makes a memorable gift for friends and loved ones. 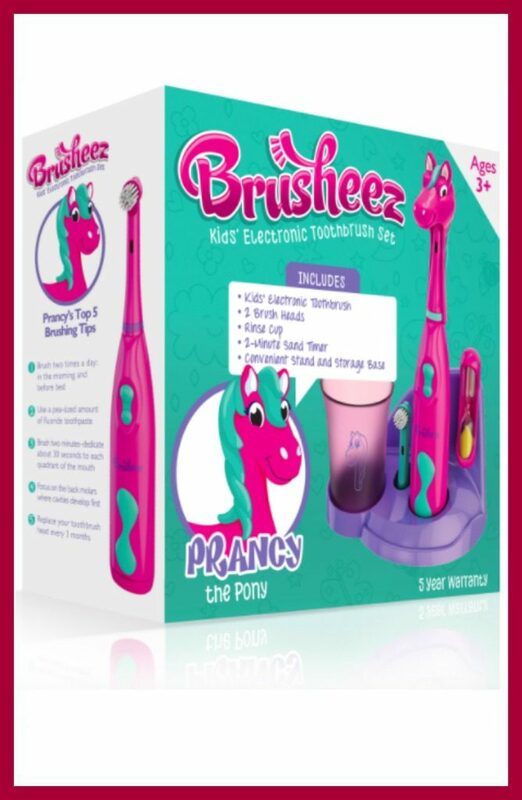 Brusheez: Start your child off with healthy brushing habits that will last a lifetime with this fun toothbrush set by Brusheez, a great “practical” idea for Christmas. This complete set comes with everything young brushers ages 3 and up need to maintain a bright smile and healthy gums including a battery-powered toothbrush, protective brush cover, rinse cup, and extra brush head. 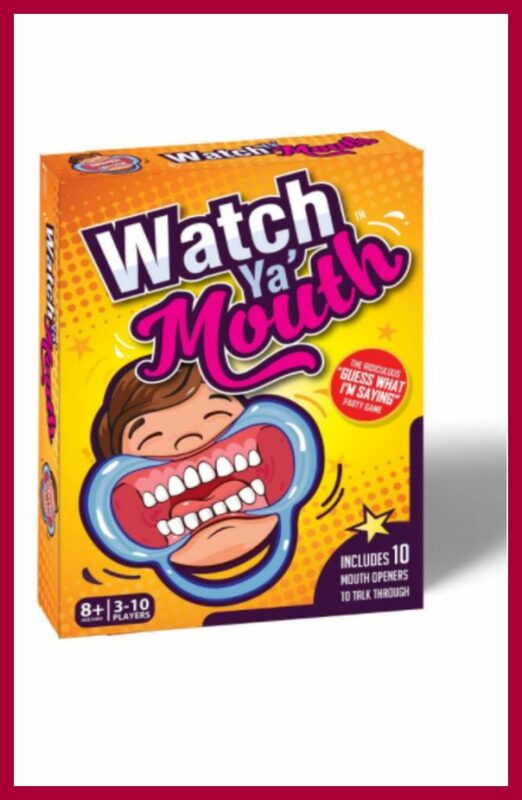 Best of all, Brusheez includes a fun two-minute sand timer that offers the perfect visual cue for brushing the entire time that children’s dentists recommend. 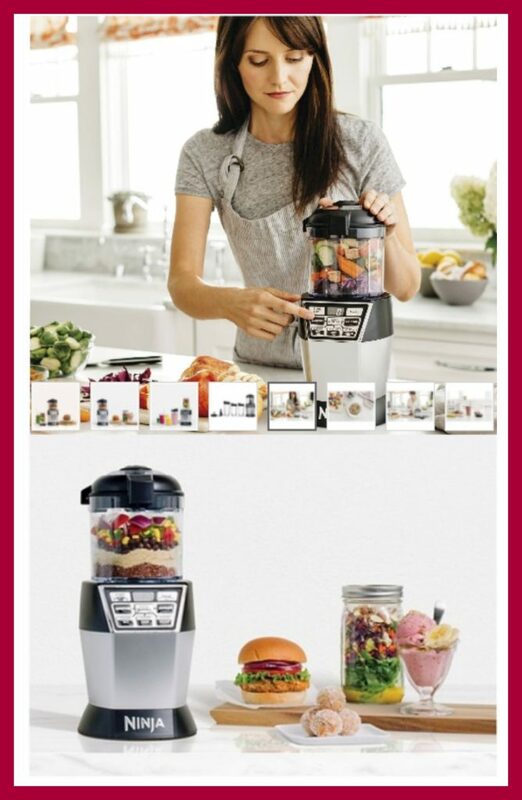 Ninja Nutri Bowl DUO: With one base and two interchangeable vessels, the 1200-Watt Nutri Bowl DUO easily switches from powerful Nutrient & Vitamin Extractor* to a versatile Nutrient Fusion** Processor giving the ability to extract a drink containing vitamins and nutrients from fruits and vegetables and also create a fusion of foods containing nutrients from fruits, vegetables, and other foods. 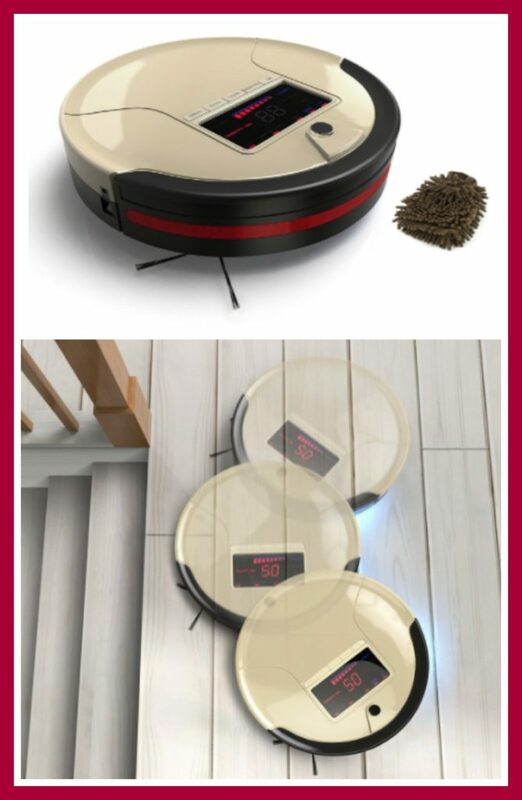 bObsweep PetHair Robotic Vacuum Cleaner and Mop: Read my bObsweep PetHair review here to see how awesome this vacuum really is! 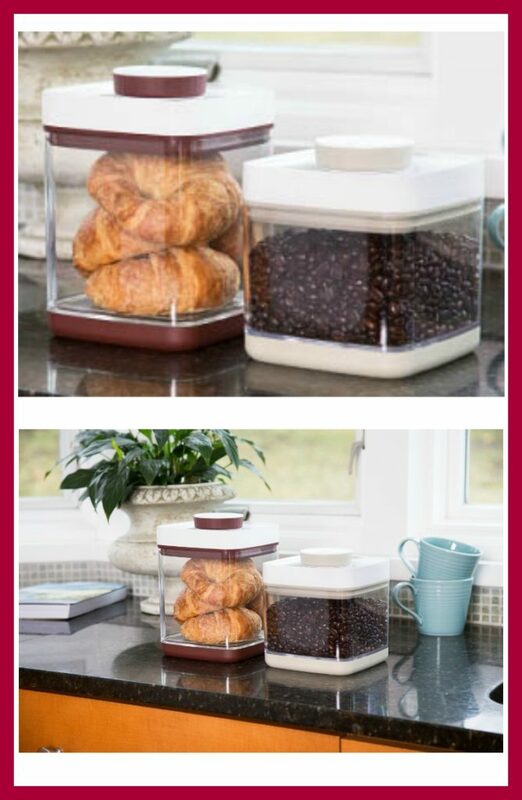 Savior Vacuum Sealed Storage Container: This is perfect for the baker in your life! Pantry staples like brown sugar, flour, and oatmeal can stay fresher, longer. (We’ve heard of people storing their—ahem—medicinal herbs inside, too.) The seal locks out excessive humidity as well as dry air that can make food go stale. The inside pressure is perfect for marinating meats, too, in less time. 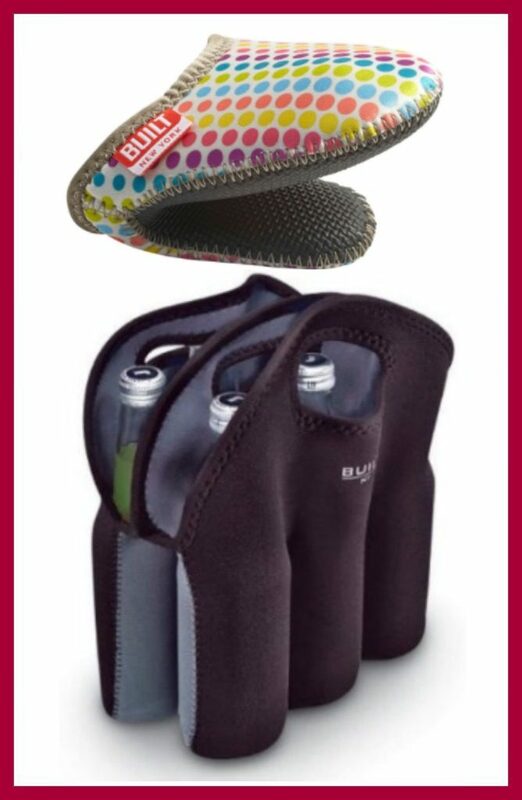 Etched Wine Bottles: Do you need that perfect gift for the classy person who has everything? Or maybe you’ve got a hostess with the mostest? 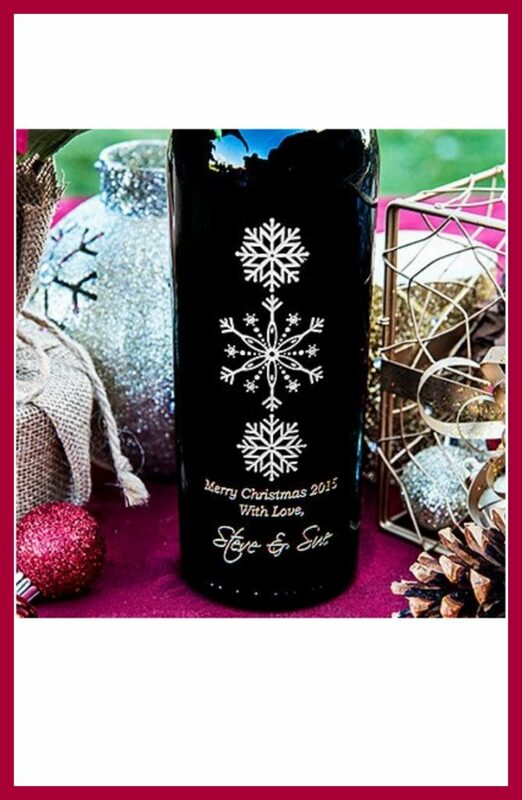 Try a hand etched bottle of wine from Etched Wine Bottles. New home, new baby, Happy Holidays and so many more occasions covered on this site! Thirty One Fold Over Weekender Bag: Fill with beach gear for summer trips, or pack it full with sweaters and jeans for fall weekends away. This durable canvas duffle also works great as a carry-on. 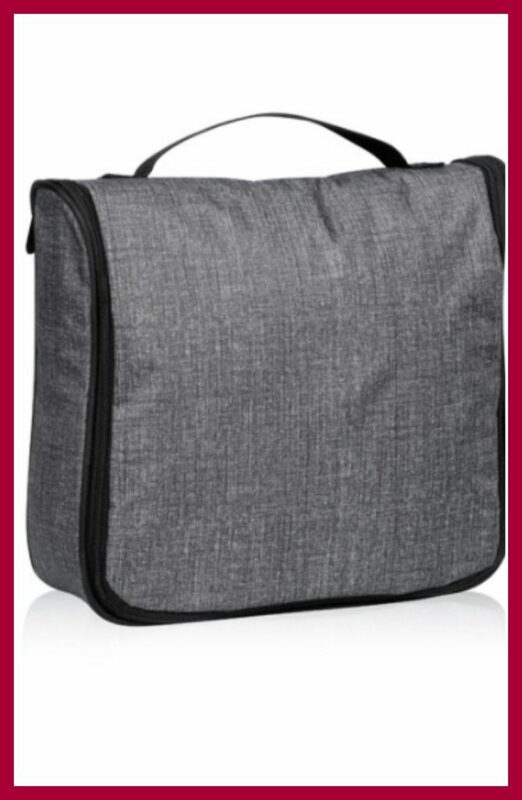 Comes with a detachable shoulder strap! 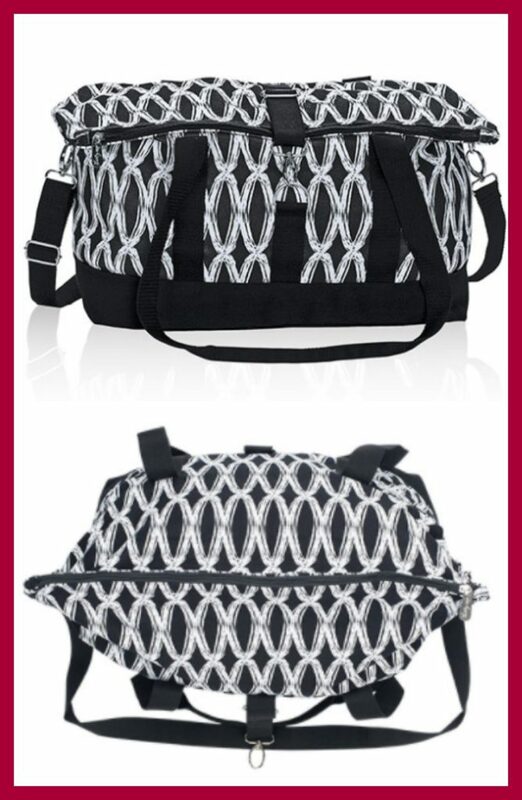 You’d be hard-pressed to find a woman who doesn’t love Thirty-One products! And, keep in mind that all items can be personalized with embroidery for great gift-giving. Find your local consultant here. Thirty-One Hanging Traveler Case: Take your pampering routine wherever life leads you – this case holds full-sized toiletries! Hang on the back of the bathroom door or set on a counter for easy access on busy travel mornings. 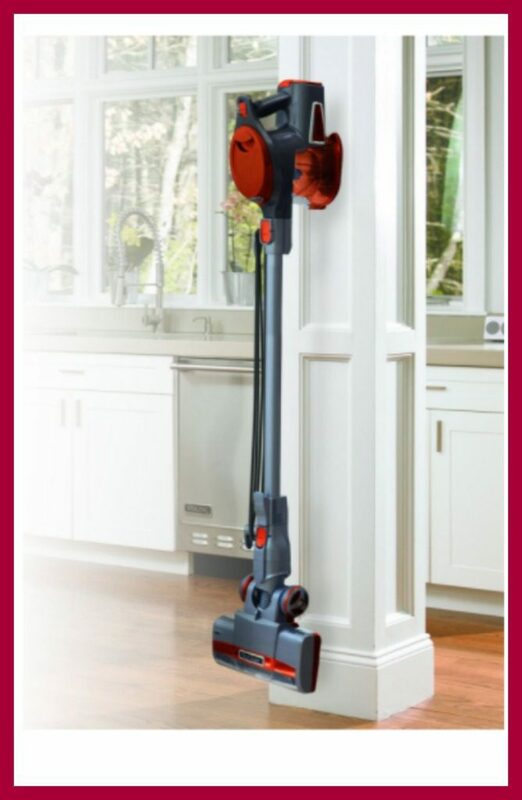 Shark Rocket Vacuum: This vacuum makes a great gift idea for the cleaner in your life as it never loses suction and never loses power either. And, not only does it clean carpets, but you’ll also find that it cleans bare floors just as well with a small but mighty presence, weighing in at just 8 pounds. The swivel steering capabilities will have your gift recipient rejoicing with delight. 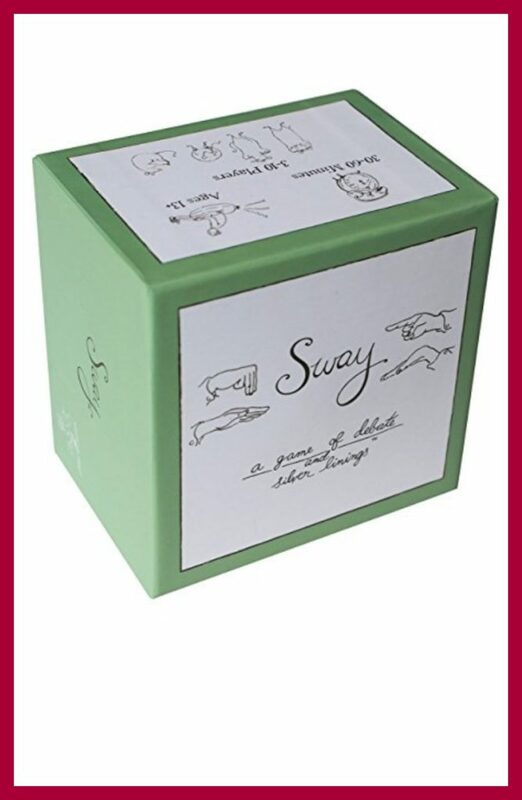 Sway Game: Sway is a hilarious, easy to play party game that highlights the positive in all things. Two players each have 30 seconds to debate the pros of two totally different topics. They can only explain the positives even for topics that don’t seem so on the surface, like “middle airplane seats” and “getting arrested.” To add to the fun, both players complete the same challenge while making their case, like “speak like a pirate.” A judge picks the winner on whatever criteria they choose. Whether playing with total strangers or your best friends, Sway induces laughter and sparks jovial conversation. It will show you sides of your friends, family or co-workers you’ve never seen before. Imagine hearing your grandma try to convince you that getting fired is awesome in her best (or worst) Scottish accent. That’s what Sway is like. It’s fun and funny, but not at anyone else’s expense. 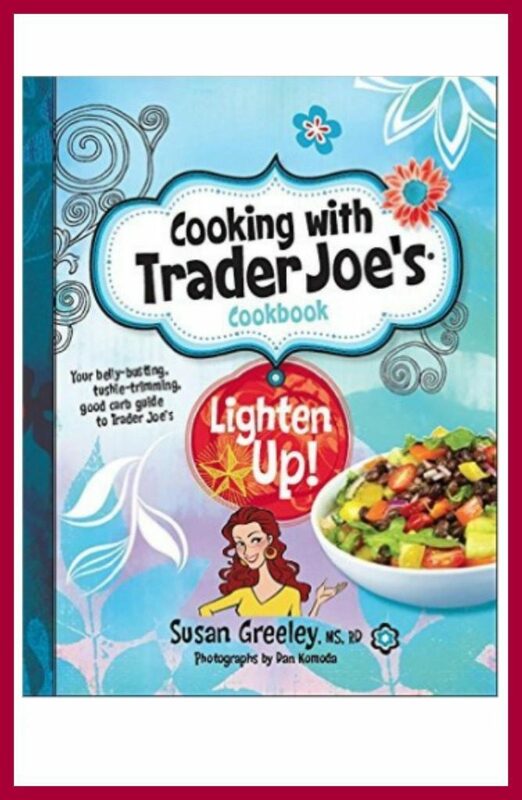 Trader Joe Cookbooks: For the LOVER of all things Trader Joe’s in your life, these cookbooks bring their aisles to life… Choose from all sorts of titles like “Dinner’s Done”, “The 5-ingredient Cookbook” and many, many more! Awesome for the hard-to-buy for person. 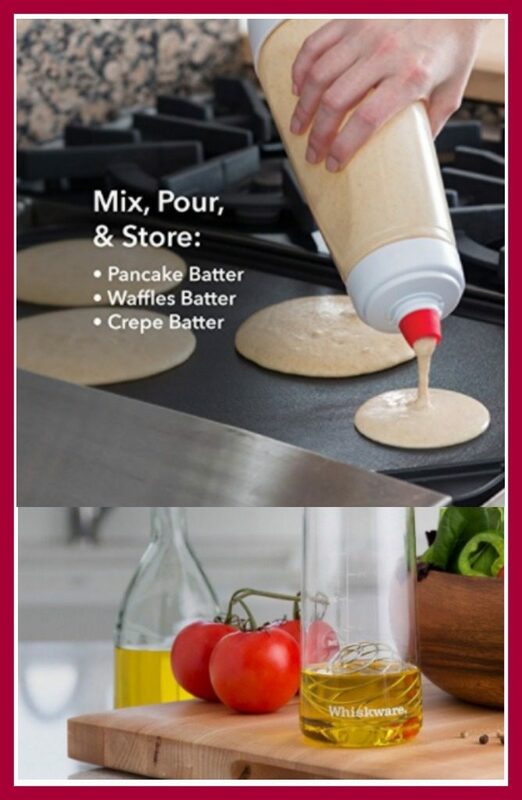 Whiskware Kitchen Products: Make baking and cooking easier for the lady in your life with Whiskware products. She’ll be off to making pancakes, homemade salad dressings, omelets and more way easier (that’s great for the whole family, right?!) 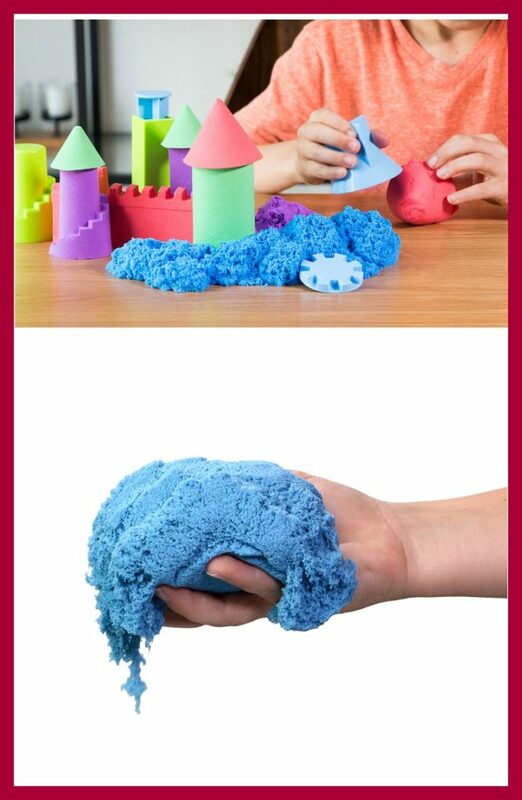 And, they’re easy to clean: simply add soap, hot water and shake with the BlenderBall inside. No need to use the dishwasher! But all products are top-rack dishwasher safe. ** The Pancake Art kit is ALSO a great gift for kids — get them involved in the kitchen too with this fun set! BuiltNY Kitchen Accessories: Kitchen accessories have come a long ways! Get cute items for her to carry items around from friends to friends and items to keep her safe while making her favorite meals! 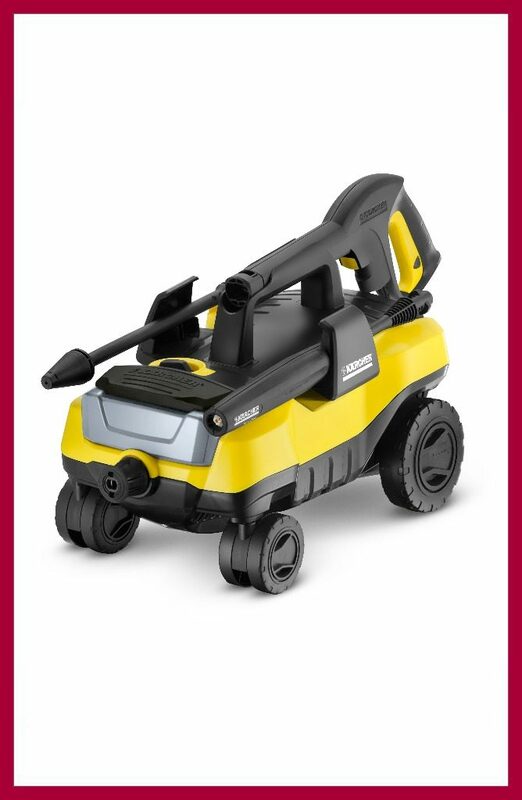 Kärcher K 3 Follow Me Pressure Washer: the only four-wheeled electric pressure washer on the market! Compact, convenient to store and easy to adjust, it’s designed to “follow you” while you clean and deliver the right cleaning power for any household job. Try the Follow Me to clean debris collected on outdoor furniture, fences, garage doors and even siding. While some customers look to rent a pressure washer for a few hours, the Follow Me is the perfect long-term cleaning companion that will deliver a return on your investment. 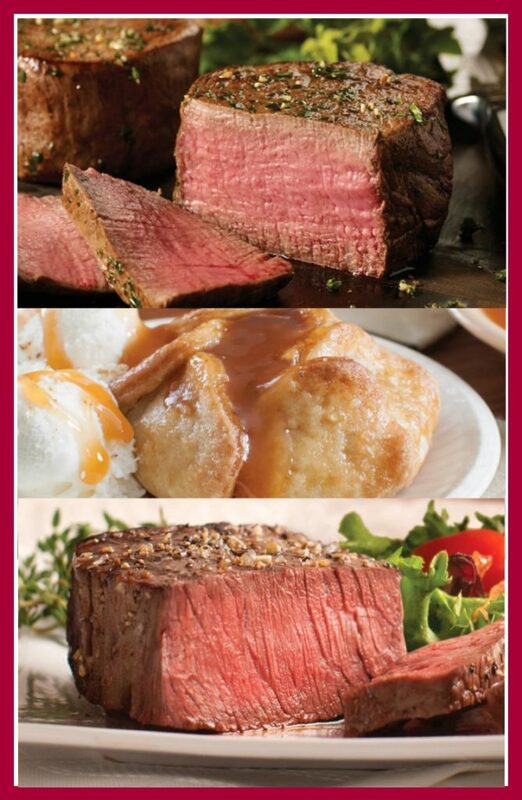 Omaha Steaks The Tasteful Gift: Give the gift of good taste with The Tasteful Gift Combo from Omaha Steaks. This gourmet collection includes our legendary Filet Mignons and Top Sirloins, meaty Boneless Pork Chops, delicious Potatoes au Gratin and our Caramel Apple Tartlets. It’s a gift that is sure to be treasured throughout the year. 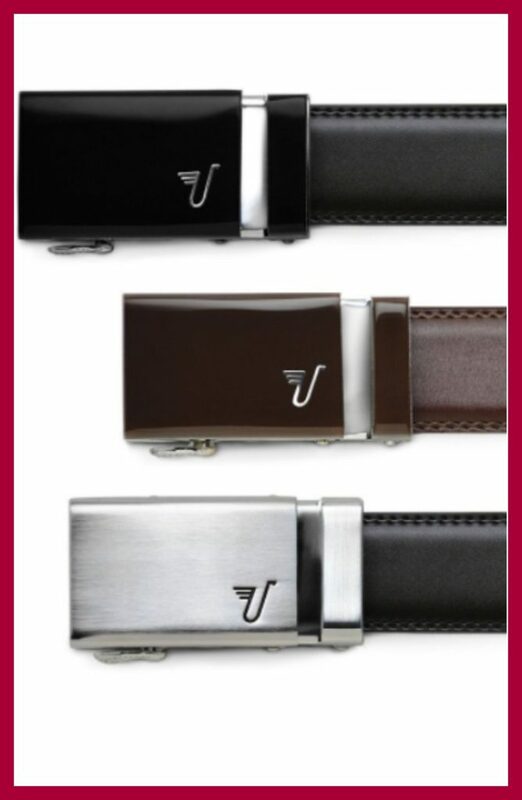 Mission Belt: Are you looking for the perfect gift that makes the man in your life look put together and professional? If so, Mission Belt is the gift idea for you! Mission Belt gives back, in fact, $1 from every belt goes to fight hunger and poverty worldwide through micro-lending. Worried about losing and gaining weight and belts no longer fitting? Not with Mission Belts! There are no holes allowing for the perfect fit. See more about the belts and fitting here. SleepPhones: SleepPhones are the perfect gift for the traveler in your life! The product’s innovative design features ultra-slim, high-quality flat speakers embedded inside of a super-soft, machine-washable headband. This means no bulky headphones or ear buds that fall out and hurt your ears! Forget about the ear bud struggle and the mess of trying to get comfy with big headphones, SleepPhones stay put because they were constructed to be used while lying on your side. SleepPhones even function as an eye mask…just pull the band down over your eyes. Liberty Co. 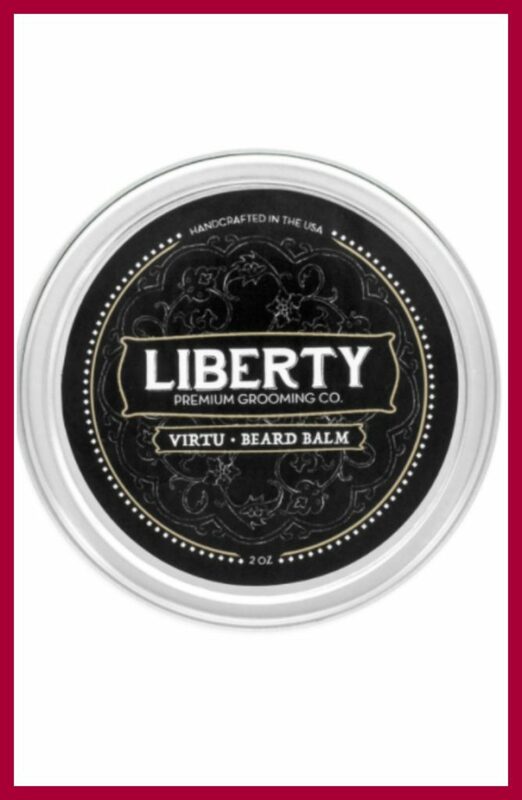 Beard Balm: Turn your man’s wiry, scratchy face into something more elegant! By blending Babassu, Eucalyptus, Argan, and Coconut oil we not only encourage his beard to grow healthier, but soften the hairs as well! Not to mention, the combined aroma of these oils is absolutely enticing, relaxing you while it relaxes his facial hair. Liberty Co. 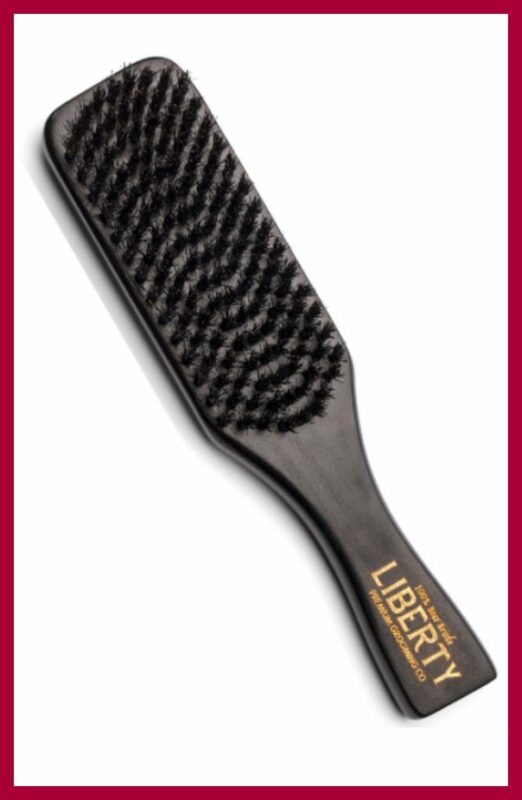 Beard Brush: The Liberty Co. beard brushes are lab-tested and guaranteed to be made with 100% boar bristle, NOT plastic or vinyl that could damage his beard. The natural boar hair is the perfect material to use against the beard, as it helps to soften, clean, and distribute oils naturally and effectively. 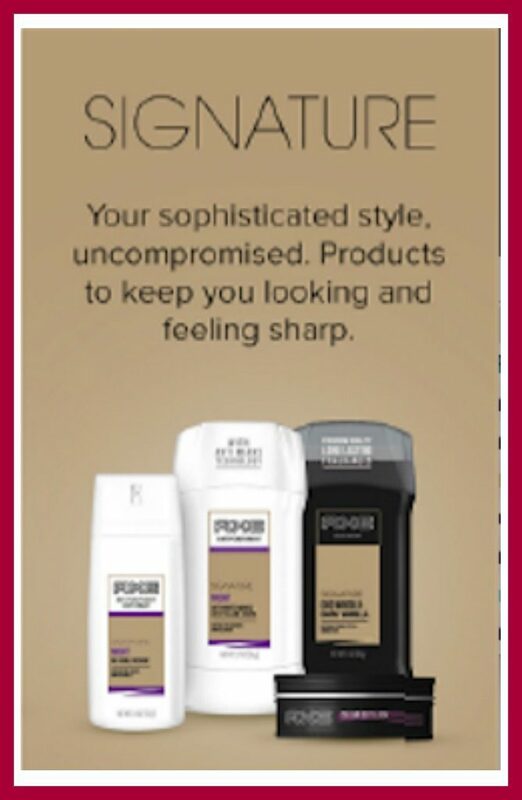 Show the world that he is a man who pays attention to detail and doesn’t leave anything to chance by adding this premium brush to his grooming kit. Grillight: For the griller in your life… this is the perfect gift idea! This stainless steel grilling spatula has you more prepared than a Boy Scout. Dad or Grandpa (or both!) 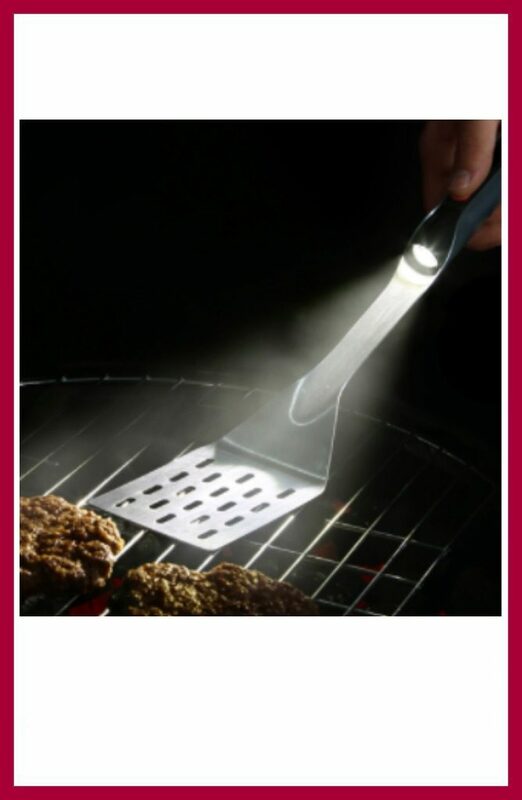 will love the LED flashlight that’s built into the handle; great for everyday grilling needs. AA batteries are included with the spatula, and it features a 20,000 hour bulb life — especially perfect for the Fall where grilling after dark is no fun at all! 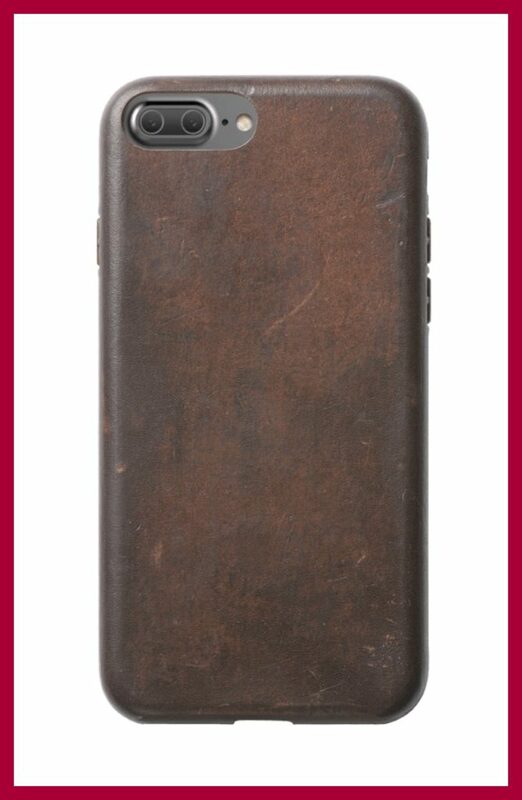 Leather Case for iPhone: This case is perfect for the classy man in your life — made from the finest leather from Horween Leather Co. of Chicago, one of America’s oldest and most renowned tanneries this case is designed to develop a patina over time, creating a handsome, rich leather case with a look that is uniquely yours. Perfect for dad. Axe Body Products: Have the man (or teen!) in your life smelling fantastic all year long when you stuff some Axe Body products in their stockings! Whether you choose the Axe Body Washes, The Axe Deodorizing Body Sprays or the Axe Deodorants — one thing is for sure. Your house is going to smell amazing! RunPhones: RunPhones are the perfect gift for the fitness enthusiast in your life. 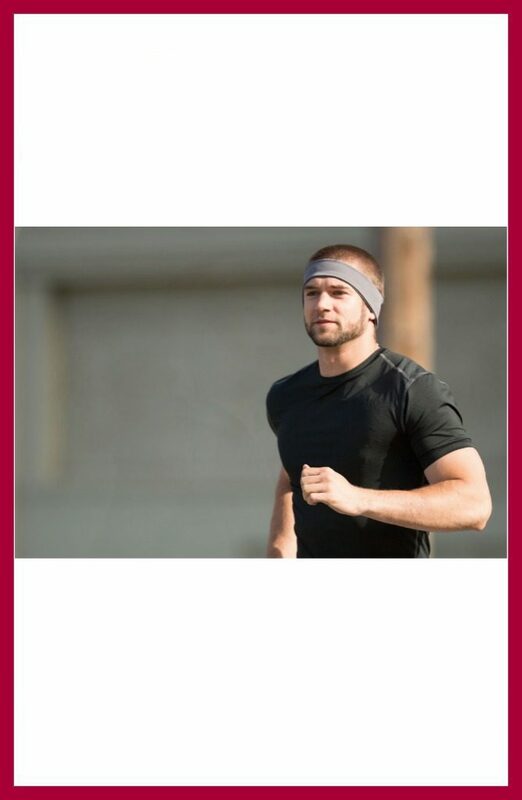 The product’s innovative design features ultra-slim, high-quality flat speakers embedded inside of a super-soft, mositure-wicking machine-washable headband. Unlike traditional ear buds, which fall out and don’t fit everyone’s ear shape, RunPhones stay put during workouts, hold your hair back and also keep sweat off your face.